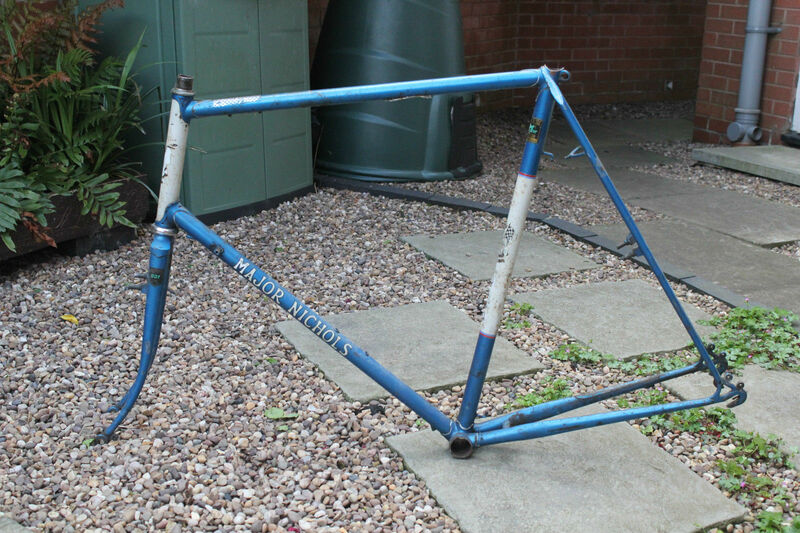 This frame was recently sold on ebay. The photos were good enough to record so here it is. Reynolds 531ST tubes forks and stays, Prugnat or Haydon Royal Sovereign lugs with modified cutouts (heartshape) and a Cinelli? 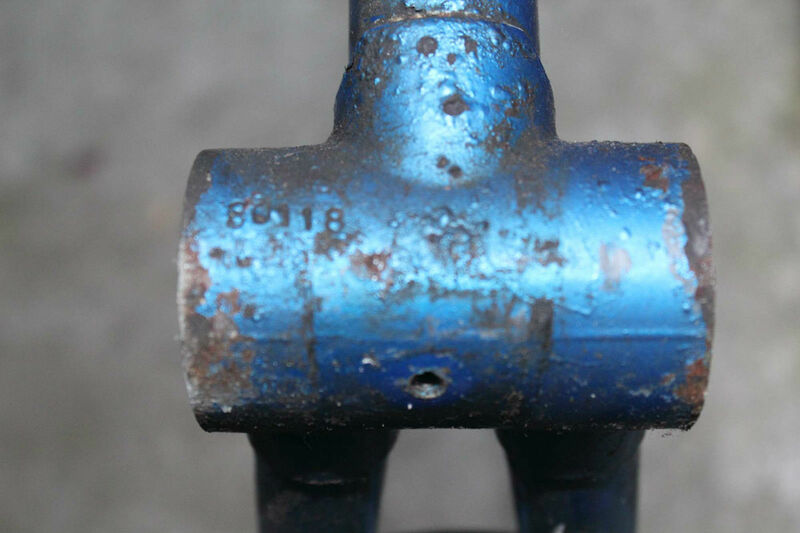 semi sloping fork crown. Wrapover seatstays with what appear to be medium length topeyes and double fishtail motif. Finished in a mid blue metallic with white head and ST panels, lining and motif. The paint work is on the edge but might be conserved for a while and new head and ST decals might look out of place. Difficult. The brazeons are an interesting feature of this frame. 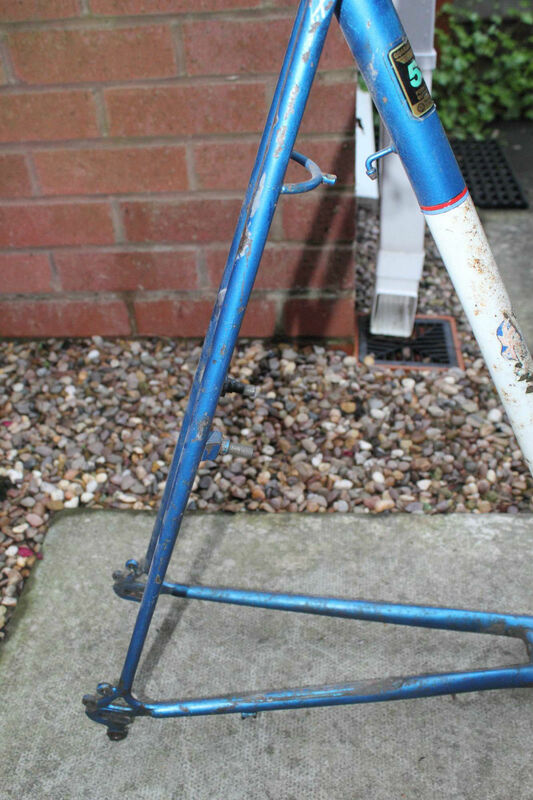 The rear cantilever lugs and brake bridge are attached to the front of the seatstays the pump pegs to the rear of the seat pillar and there are pannier fixing eyes on the rear Campag(?) dropouts. There are also mudguard eyes on the front and rear dropouts. A single set of bottle bosses and a pair of Campagnolo changer bosses. The offside is not shown but the DT has been drilled for cable to quote the listing: ‘It has internal routing for a dynamo wire from a bottom bracket dynamo to the front light. Not something that is used these days, but interesting. 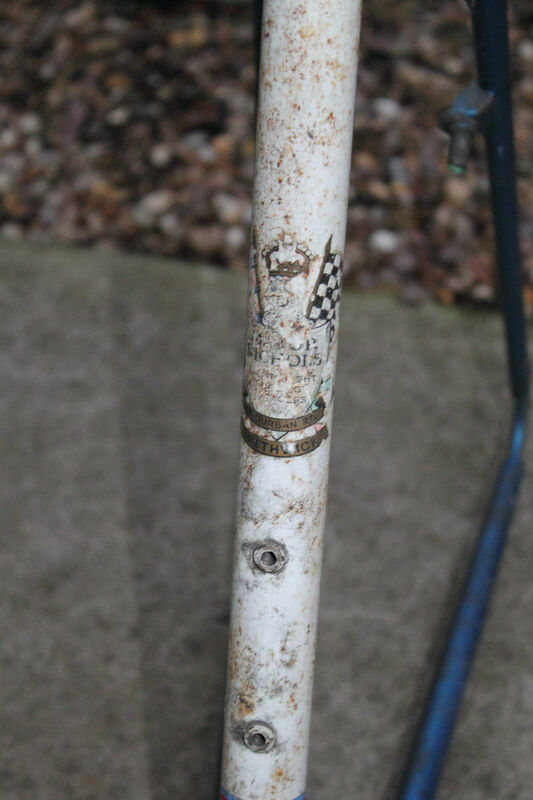 Major told me at the time, of the trouble and effort he put into fitting the internal tube for the wires.’ The chainstay bridge is curved and looks to be reinforced too. Could do with a few more snaps from the new owner.